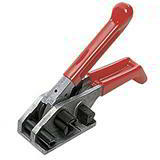 simply feed through the composite or woven cord polyester strapping - tensioner tool draws the strapping through and tightens it as the handle is squeezed. 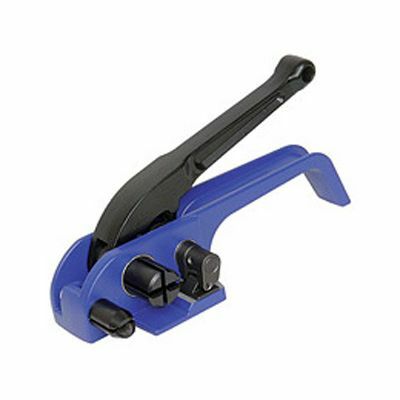 This heavy duty polyester strapping tensioner has a robust design and smooth action. 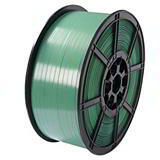 It is ideal for tensioning composite or woven cord polyester PET strapping around pallets and cartons to improve security and stability. With the optional attachment, the strapping tensioner hooks into 13mm/16mm (GYT5/16T) or 15mm/19mm (GYT5/19T) metal buckles, making it easy to strap bundles and irregular objects. When you buy polyester strapping tensioner tools, you will also need strapping buckles to retain the tension and secure the load. 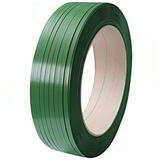 Simply ring for advice about polyester strapping, and which tensioners to use with PET composite and woven cord polyester stapping. Tools are available from stock and we aim to offer the lowest UK prices on strapping tensioner tools - so you can order a polyester strapping tensioner tool to use almost straight away! Optional attachment for strapping bundles etc.